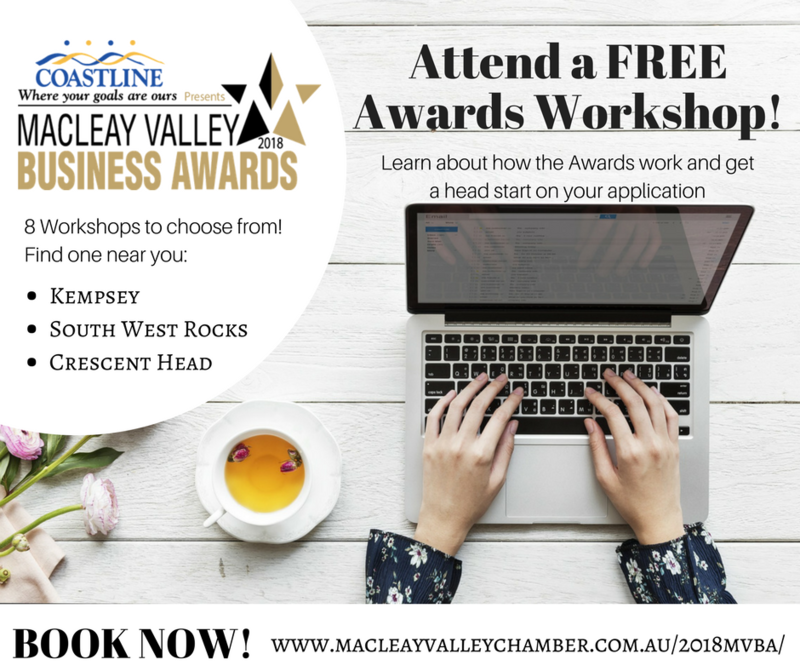 Thinking about entering your business in the Macleay Valley Business Awards in 2018 and wondering where to start on your Awards application? The Macleay Valley Business Chamber are offering 8 workshops around the region to assist local business in understanding the Awards process and help you get a head start on your entry. You are encouraged to bring a laptop or other device, so you can work on your application at the workshop.